Eight wins on the bounce for the first time since 2007, not bad, not bad at all, including two wins away in the premiership and an unbeaten run dating back to August 25th, but for purposes of context, the only team we've played of any note was Everton - at home. Let's face it, the Emery appointment came out of left field for most of us. We had assumed it was going to be Arteta, Low, maybe Ancelotti, but the 46 year old Basque was mentioned in passing only. I was 50/50 on the selection, Emery had enjoyed notable successes at Sevilla, but had endured a difficult season at petro-dollar backed super club PSG. Understandably expectations were huge in Paris and although he delivered two pieces of silverware, Emery was sacked and was therefore immediately available for a new challenge. Emery's early tenure was always going to be judged by the differences in approach and temperament to his predecessor; polymath and jaded institution, Arsene Wenger. I was adamant Wenger had to go and blogged frequently as to why, the need for a new broom was loud and clear. Wenger had gone stale, Petr Cech's comments last week were hugely damning, when a manager prioritises playing style over winning he has lost the plot. So, Emery's insistence on cohesion, hard work, pragmatism are refreshing. Admittedly, the football being played isn't as liquid, the passing is more leaden and pondered, but Arsenal are winning games, and winning games they would have lost or drawn, Watford and Everton being cases in point. A manager is only as good as the players he picks and then he's then judged by the acquisitions he makes. On this front, I'd give Emery 7 out of 10. I like the way he's picking Smith-Rowe, Iwobi (looking far sharper) and Rob Holding. Torreira looks like he's close to being the finished article and Guendouzi looks like a great prospect and might be a superb footballer. Sokratis, I'm relatively impressed by, he looks far more like a traditional English centre half than I expected and Leno looks like he knows his job. But there are warning signs, against Qarabag last night, we gifted chance after chance to a poor side and if (or when) this continues, we will be the wrong side of a drubbing sooner or later. I don't like the space between the central defenders and the space being vacated by Bellerin in particular is worrying. Obviously, you can counter that Arsenal is a work in progress, we are in transition and changes don't happen overnight. 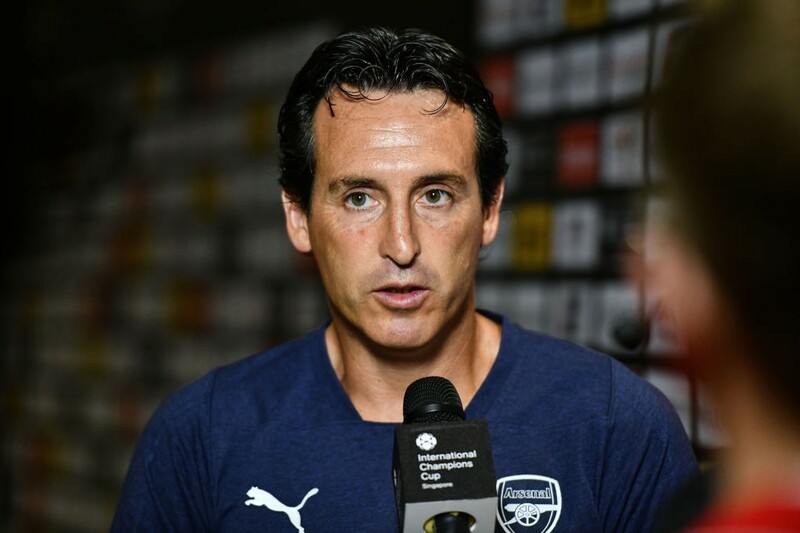 But Arsenal's defensive fragility should be Emery's first and over riding concern, I've heard, like we all have, that training sessions are more intense and more focused on the shape when we don't have the ball, but I'd be keen to see more evidence that this approach is paying dividends on the pitch. 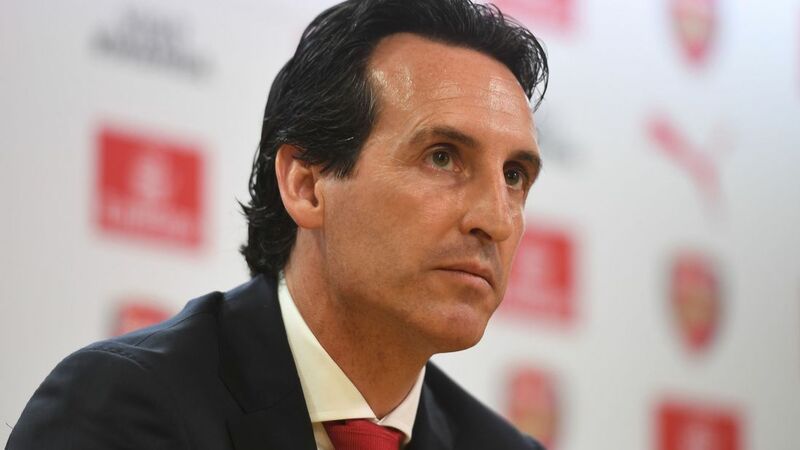 Personally, I like what I see of Emery on the touchline and in press conferences, he's a very committed professional and seems a likeable, decent man. He's ticking a lot of boxes, but my major concern, is that the economically frugal model that he is shackled with, means that Arsenal will probably not compete at the level we expect them to. In the summer we bought five players for a similar figure that secured a single goalkeeper for both Liverpool and Chelsea. Therefore, the onus is on Emery as a man and as a coach - and he can coach, that's clear. So, he has to develop players like Maitland-Niles, Smith-Rowe, Iwobi, Holding etc..., while adding very high quality players who can change games in a flash. In theory, we have three in Aubameyang, Lacazette and Ozil, but I'd still like to see a proven centre half in there, I'd persevere with Holding but he needs a partner who doesn't gift space and possession the way Mustafi and Sokratis are apt to. Saviour or sticking plaster? Let's hope Unai Emery is both. Arsenal V Everton - What's wrong with being a good Cup side? Why do the BBC have a problem with Arsenal?